When it comes to your big day, you want everything to be perfect. So make sure you choose a civil celebrant who you know will make your ceremony one that will provide you with treasured memories forever. 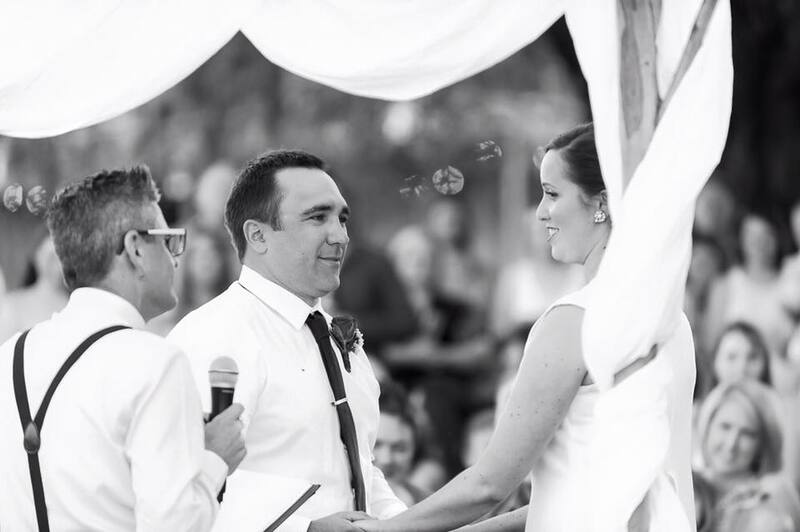 Rest assured that your ceremony will be one to remember forever when you choose Ty Sutherland as your celebrant. With many years of overseeing ceremonies in Noosa and all across the Sunshine Coast, I am a civil celebrant with a reputation for making wedding ceremonies extra special and enjoyable. Find out more about me here. For those who don’t desire big ceremonies with hordes of guests attending, eloping presents an attractive choice. As an experienced elope celebrant in the Sunshine Coast, I will preside over your intimate affair and make it extra special for the few that are lucky enough to be a part of it. For a contemporary wedding, trust certified civil celebrant Ty Sutherland to bring personality to your Sunshine Coast ceremony.